Camila Tobón is a member of the Finance & Acquisitions Department of Davis Graham & Stubbs LLP. Her practice has an emphasis on privacy and data security in multiple jurisdictions. She leverages her fluency in differing privacy law frameworks, such as the California Consumer Privacy Act (CCPA), the EU General Data Protection Regulation (GDPR), the ePrivacy Directive, the Personal Information Protection and Electronic Documents Act (PIPEDA), and various laws throughout Latin America, to handle information governance, privacy risk management, data subject rights, vendor management, incident response, and privacy program development and implementation. Ms. Tobón is a certified Fellow of Information Privacy (FIP) through the International Association of Privacy Professionals (IAPP), a designation indicative of her comprehensive knowledge of privacy laws, privacy program management, and essential data protection practices. She is also a certified Information Privacy Professional in European Law (CIPP/E) and U.S. Law (CIPP/U.S.) as well as Information Privacy Manager (CIPM). 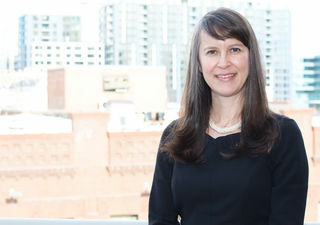 Ms. Tobón speaks regularly on privacy and data security topics for organizations such as the American Bar Association, the Association of Corporate Counsel, and the IAPP. Before joining DGS, Ms. Tobón practiced with Shook, Hardy & Bacon, first in Miami and then in Denver.